In the meantime, women, children, and families have suffered, while doctors, nurses, and caregivers have felt frustrated with their hampered ability to help. There are many issues that stand in the way of providers offering effective mental health care for pregnant and postpartum women. Despite wanting to help and being advocates of women and women’s health, many OBs have not been able to adequately respond to women’s mental health concerns as they historically have not had the training, skills, or resources to help patients in need. Many doctors, including obstetricians, don’t feel comfortable addressing issues outside of their own specialty training, particularly in the unique context of perinatal care in which there are two patients to consider: the mom and the baby. Prescribing medication to pregnant or nursing patients requires thoughtful and individualized patient discussions that include nuanced knowledge and expertise about the risks and benefits of a wide breadth of treatment options. Though the benefits of medication treatment often outweigh the risks, perinatal psychiatrists (of which there’s a severe shortage) have long been the providers with specialized expertise in this area and OBs have rarely had the opportunity to gain the necessary level of proficiency and comfort. It isn’t just OBs who lack this specialized knowledge: many general psychiatrists are not comfortable treating pregnant women either, thus women are often told to stop taking medication during pregnancy when in fact continuing it may be more beneficial. This leaves both the patient and the OB in a difficult position. Many OBs and their practices lack adequate referral networks, not only for reproductive psychiatrists but for behavioral therapists as well. If their patients need psychiatric help or talk therapy, they may not know where to turn. It takes considerable effort to maintain an active list of local, appropriately-trained behavioral health professionals, the insurance plans they accept, and whether they accept new patients. Even if obstetricians know where to send patients, the wait time to appointments is often unacceptably long considering pregnancy offers a very limited window to effect change and improve outcomes. Most doctors simply do not have the resources they need to detect, assess, and manage depression or mental health concerns at all, and certainly not in the timely manner required in pregnancy and the postpartum period. Further complicating this issue is the fact that perinatal depression extends beyond pregnancy and past the standard six-week post-delivery visit with an OB; it extends out to one year after delivery. The hope is that if women are educated by and are made comfortable discussing mental health issues with their obstetric providers, they will identify their Ob/Gyn as an advocate and resource when it comes to perinatal mental health. Ideally this would mean that stigma is decreased and that patients will be more willing to reach out for help regardless of whether a specific appointment is scheduled. Many OBs are also Ob/Gyns and provide primary care to women across the entirety of their reproductive years, thus continued care can be provided and/or Ob/Gyn providers can facilitate referrals to other primary care specialties when appropriate. The problem is multifaceted and starts at the systems level; there has been limited guidance in place for OBs who want to address their patients’ mental health. Despite the desire to help their patients, providers are often left feeling helpless. For these reasons, OBs have historically experienced a dilemma: if they do screen and identify that a patient is suffering from depression or another mental health issue, then what? OBs have a great desire to support the emotional health of moms. They need to be sure that when a patient screens positive for depression, they can reliably respond and manage it. In order to realize this goal, OBs need additional training and access to resources. How Do Pediatricians Play a Role? The Massachusetts Child Psychiatry Access Program (MCPAP) began addressing mental health issues for pediatric patients a decade ago. With the participation of more than 95% of pediatricians in Massachusetts, the program offers psychiatric resources for children aged six months to 18 years. MCPAP has been effective, now as more than 80% of children in Massachusetts get a behavioral health screen at well-child visits. However, it has left providers in the awkward position of having the resources to support mental health care for children but not for infants under six months old when the behavioral health screen needs to be for their mothers (and fathers). This gap in care led to the creation of MCPAP for Moms, which the next post in this series will discuss. Because PPD often presents itself after a mom has had her final OB visit, pediatricians’ offices are an important touchstone for screenings. However, pediatricians have consistently believed that mental health care for moms was not within their scope of services. Many have seen the screening of PPD as a form of diagnosis, something they’re not comfortable addressing with someone who technically isn’t their patient; officially, pediatricians have doctor-patient relationships with children only. In addition, even if they were to screen, pediatricians face the same referral challenges as Ob/Gyns. For these reasons, screening has been limited in both obstetrics and pediatrics practices. Though tools exist—such as the Edinburgh Postnatal Depression Scale (EPDS), the Patient Health Questionnaire – 9 (PHQ-9), and the SWYC/MA (Survey of Wellbeing of Young Children for Massachusetts)—they have not been widely used. None of this has gone unnoticed; many doctors have felt extremely frustrated by their lack of ability to adequately address their patients’ mental health issues. Most providers are aware of the adverse outcomes PPD can cause for moms, children, and families, but without the resources they need, they’ve remained powerless. Recently, the American Academy of Pediatrics (AAP) has also weighed in on the issue. It released a 2010 report recommending that pediatricians screen mothers for postpartum depression at a baby’s one-, two-, and four-month visits. The US Preventive Services Task Force (USPSTF) also just announced its recommendation that all adults (including pregnant and postpartum women) be screened for depression, stressing the importance of having systems in place in order to accurately diagnose, provide effective treatment, and offer appropriate follow-up. It’s promising that screenings are being encouraged by so many organizations, but we must actively address the other piece of the puzzle: treatment and follow-up care. When patients screen positive, doctors must have the tools they need to help. With screenings, PPD is fairly easy to pinpoint and treat. Research shows that two-thirds of women would actually be identifiable before delivery, one-third before conception and one-third during pregnancy. The last third have their first difficulty after birth. Basic training sessions (with the help of perinatal psychiatrists and other experts) can help providers acquire the knowledge they need to treat—or refer—women in need. By putting a simple system in place that expands the capacity of providers, women could be efficiently identified and treated. With 72,000 moms delivering annually in Massachusetts, there’s been a demonstrable need for physicians to change their standard practices when it comes to these patients—and physicians are eager to do so, if only given the proper support. Subscribe to CFYM to so that you automatically receive each week’s post in this series every Tuesday. What role do you think obstetricians and/or pediatricians should have in identifying maternal mental health issues? What do you consider the biggest obstacle in addressing perinatal depression, and why? What will you do to help improve the identification and treatment of perinatal depression? Dr. Straus is the founding director of the Massachusetts Child Psychiatry Access Project known as MCPAP and responsible for the creation of MCPAP for Moms. He is president of the National Network of Child Psychiatry Access Programs and Medical Director Special Projects at the Massachusetts Behavioral Health Partnership (MBHP). 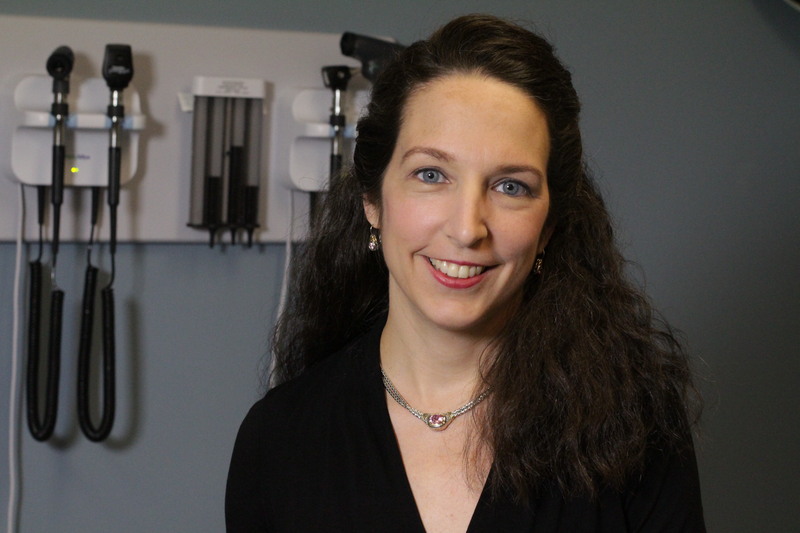 Dr. Straus is a general pediatrician having practiced in primary care settings for 22 years that always included integrated behavioral health and has worked for over 25 years in managed care. 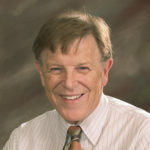 Before his partial retirement, he was Vice President Medical Affairs at MBHP and served as medical director of the Fallon Community Health Plan. Dr. Straus is a Robert Wood Johnson Clinical Scholar at Johns Hopkins Medical School, did his medical training at Columbia University and his pediatric training at Strong Memorial Hospital in Rochester, New York. Dr. Tiffany A. Moore Simas is an Associate Professor of Obstetrics-Gynecology and Pediatrics at the University of Massachusetts Medical School and the Joy McCann Professor of Women in Medicine. 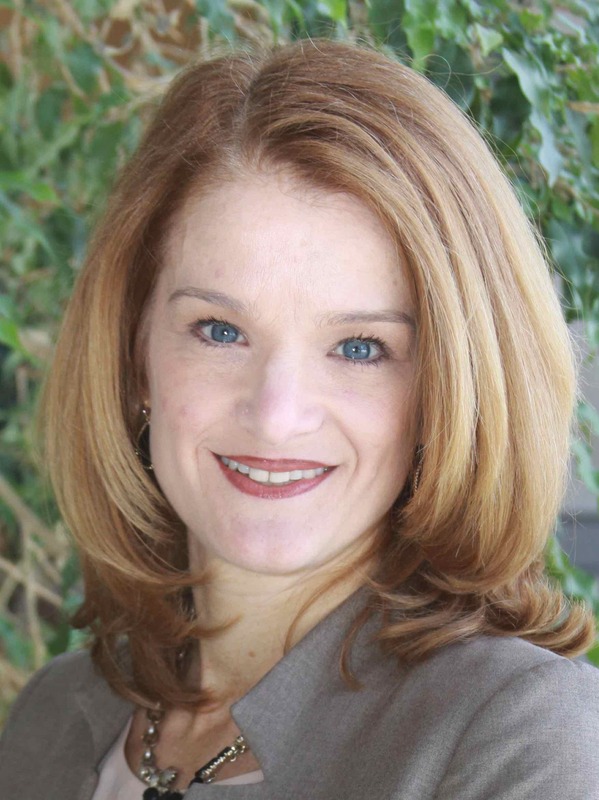 She earned her medical degree from the UMass Medical School, her master of public health degree from the Harvard School of Public Health, and her master of education degree from UMass Boston. Her driving passion and career mission is to empower women to have holistically healthy lives and families by starting with themselves. Her research efforts focus primarily on understanding how pregnancy conditions influence both immediate and long-term health of mothers and their offspring. Dr. Moore Simas is the Massachusetts section of the American College of Obstetricians and Gynecologists’ (ACOG) representative to the MA Governor’s Postpartum Depression Commission and the obstetric liaison for the MCPAP for Moms Program. MCPAP for Moms is a state-wide program in Massachusetts that helps perinatal care providers help women with perinatal depression. Dr. Moore Simas is Co-Principal Investigators on a CDC-funded study evaluating a stepped-care approach to perinatal depression in Ob/Gyn settings.